Tunemout Auto Part Co. Ltd specializes in the manufacture and export of high-quality auto parts for the automotive aftermarkets in Europe, the US, Africa and Asia. We started our business in 2006. Trust your orders with us. 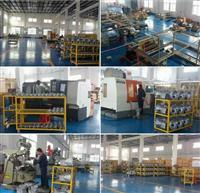 Thorough quality control, competitive price and prompt deliveries are guaranteed. For details on our products and services, contact us today.